1 and 2 is NOT 12! I know you see it all the time, when you ask a student what a number is made of, and they instantly throw place value out the window. 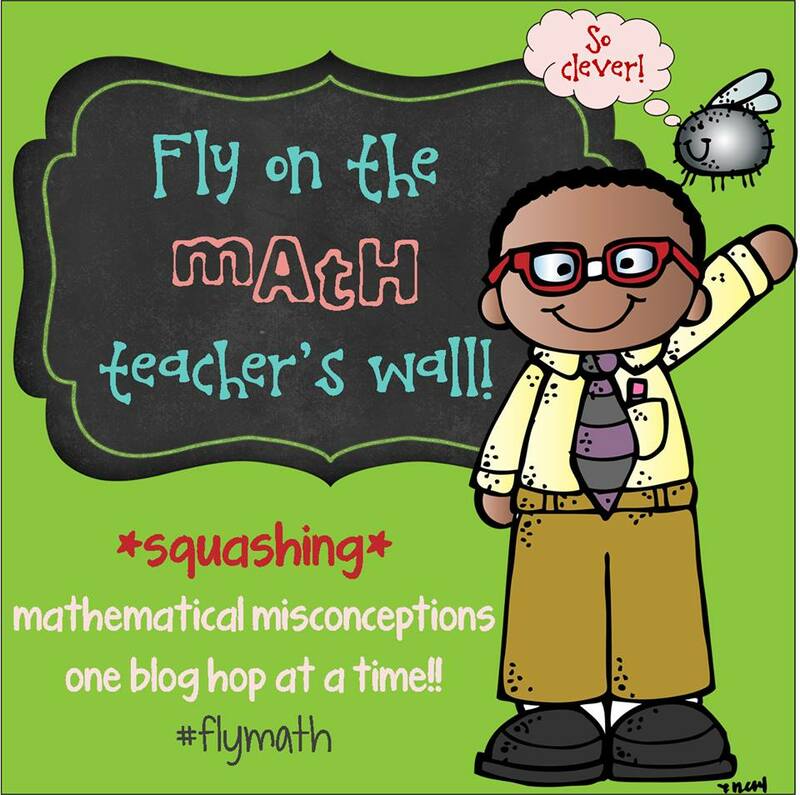 That is why so many of us are doing this “Squashing Misconceptions” blog hop about place value. Now you might be thinking that I tricked her with the question or that it was a matter of not understanding what I was asking, so I posed the question in a few different ways (“What is 12 made of? What two numbers can you add to get 12?”). Each time, she maintained that 12 is 1 and 2 put together. So, what do you do when there is a struggle with place value? Get out the MATERIALS. ALWAYS. Don’t waste time or think that this will make it more difficult or confuse them. Just get out manipulatives, counters or cubes. I love cubes because you can group and ungroup them at any time. So I asked her again what makes 12. Do you know what that little cutie did? She pulled out a ten and 2 cubes without even having to count the ten. She was so used to seeing those concrete tools that it was a no brainer. We had to have those materials out to make it concrete, she was not ready for bare numbers yet. We constantly make those leaps too soon, and then time and time again (myself included!) it doesn’t occur to us to pull out tools, manipulatives or materials. Our young learners need this, as they are very concrete and it can help them make the connection to number sentences. So let them have those materials! Have them out for ALL students, so that no student ever feels “babyish” having to use them. 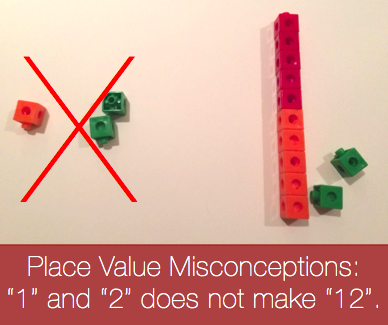 This is essential for students to understand place value conceptually. Today I filled in for a teacher who had to be out suddenly. It was so exciting! I’ve been coaching now for several months and I was anxious to slip back into teacher mode. These were fourth graders who had been introduced to the distributive property the day before. The teacher was looking for something to both review and solidify their knowledge. 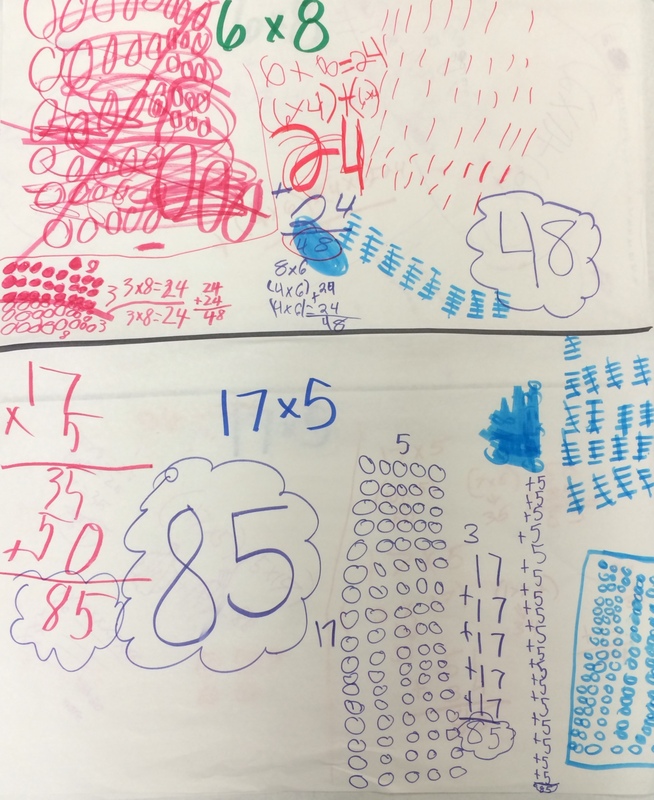 I decided to try to connect their past experiences with multiplication to their new thinking from the day before. I wanted it to be a little messy! 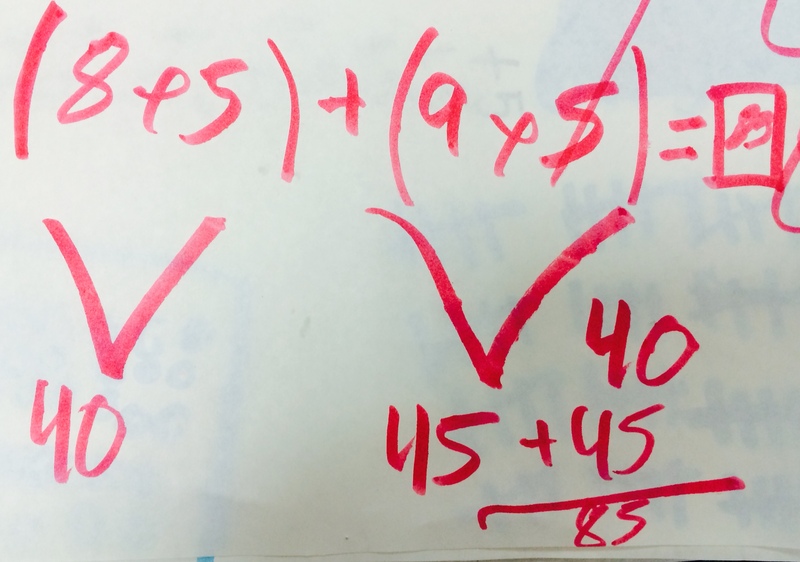 I can solve multiplication sentences in more than one way. Then, I put them in groups to solve the following two facts as many ways as they could on giant paper…6×8 and 17×5. The results were remarkable, AND messy! One student wanted a new paper, but I explained that mistakes feel kind of awesome. We should expect to make mistakes and try again, it is all about perseverance. This messiness reflected the thinking of the students. I had to suppress the urge to organize their thinking into my own pretty little anchor chart. 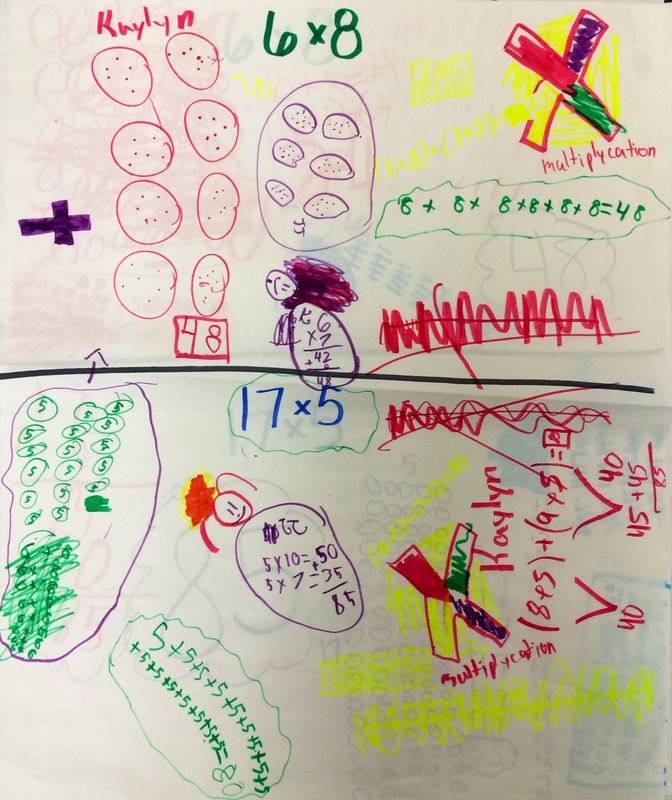 I had to remind myself that this wasn’t about an anchor chart, it was about letting the students know that math is messy and that they could learn from each other’s thinking. After giving them about 10 minutes, it was time to share. We rated ourselves against the success criteria to see where each group was. Then, I asked them to think about which strategy was most efficient on their poster. They laughed pretty hard about the inefficiency of drawing 85 circles/tallies. 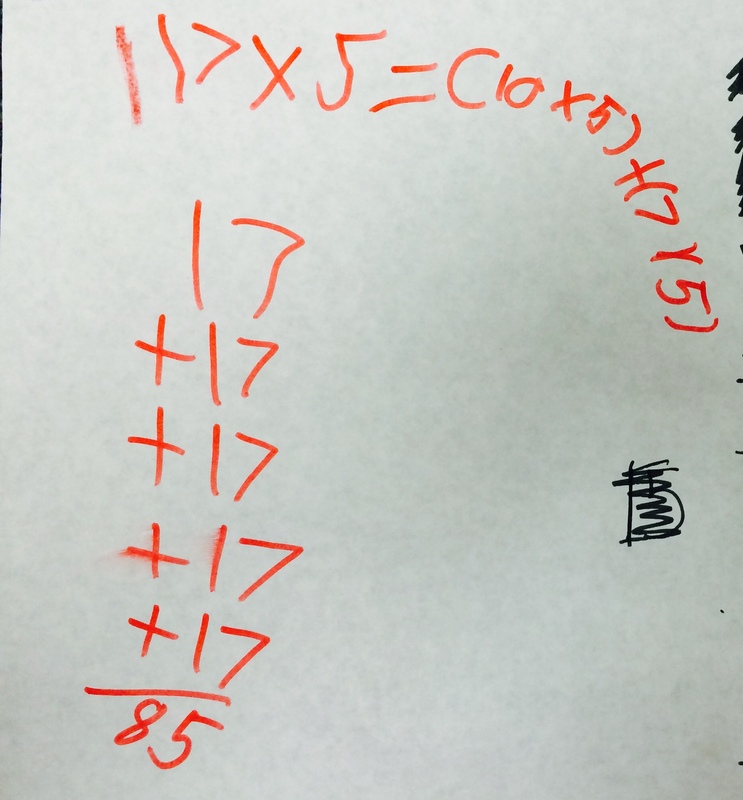 A nice notation of the distributive property, where the student broke the 17 into 10 and 7. 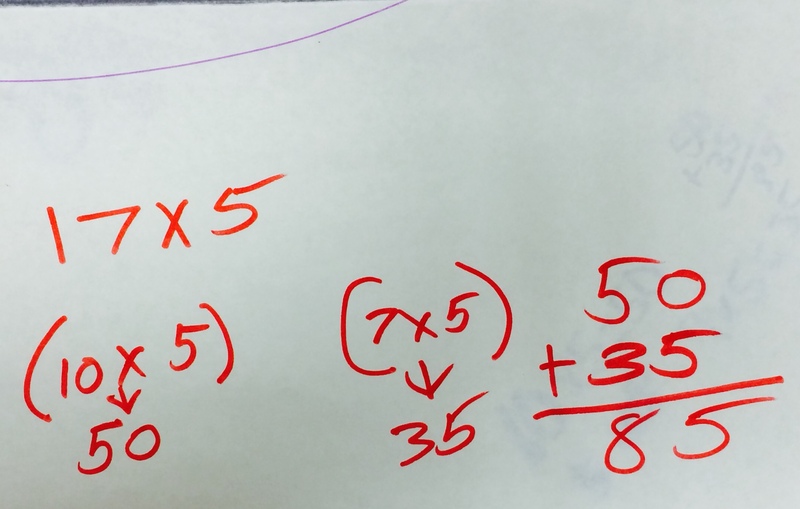 Classic repeated addition (bottom), and another way to note the distributive property on the top. 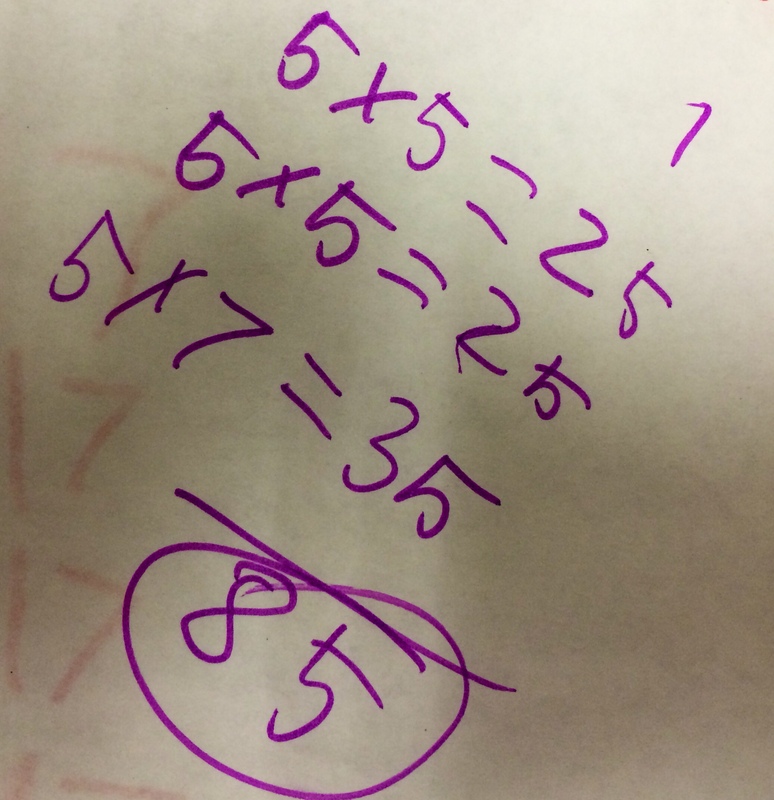 This person used the distributive property, but broke the 17 into 8 and 9! Very cool. I also appreciated how they showed their thinking below the number sentence. He broke the 10 into two fives! That is someone who really understands what he is doing. It was wonderful to get them talking and sharing. The person doing the talking is the person doing the learning!